There are several different types of gout medications available for you to use presently on the market. This article will try to help you to get a more clear idea about the gout medicines that you may be taking so that you will understand more about what they are doing to your own body. NSAIDS means Nonsteroidal anti-inflammatory drugs. NSAIDs are used to reduce inflammation in the affected areas. They do this by blocking the enzymes and proteins, made in the body, that make the inflammation and bleeding become worse. Aspirin, however, should not be used as a medication for gout as aspirin can make the problem worse by affecting the quantity of uric acid in the blood. NSAIDs should never be taken without a prescription, as they can make other diseases you might have become worse. Ulcers, anemia, high blood pressure, bleeding, diseases of the heart, liver, and kidney, are all affected by NSAIDS. 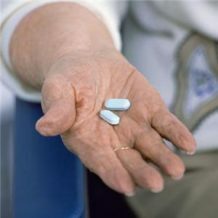 For gout, Colchicine can be prescribed short-term with a higher dosage level or as a long-term medicine, with a smaller dosage. Colchicine is made to prevent inflammation caused by crystals of uric acid. It does not reduce the quantity of uric acid you have in your system, but it does reduce the likelihood of having a gout attack. Side effects of Colchicine are diarrhea, nausea, kidney problems, liver disease, and complications with your bone marrow. Corticosteroids should only be used when the patient does not respond to colchicine and NSAIDs, or may have experienced bad side effects when taking the other types of medications for gout. Corticosteroids are effective for treating gout when one joint is affected. It is given intravenously, when multiple parts of the body are inflicted. Corticosteroids cannot be given for a long period of time because it has serious side effects, such as osteoporosis, mood swings, fluid retention, weight gain, increased risk of infection, difficulty in wound healing, glaucoma, acne, cataracts, and high blood pressure. Uricosuric agents are used as gout medications for long periods of time. They work with the kidneys helping to remove uric acid from the body. They also prevent future gout attacks from happening. Possible side effects of uricosuric agents include stomach problems, kidney problems, headaches, and rashes. Allopurinol can also be used long-term. It works to lower the body’s uric acid production. It prevents xanthine oxidase, a substance that helps the body to create more uric acid, from being released. Possible side effects are bone marrow complications, skin rashes, and liver inflammation. It is important that you see your doctor so that he can decide what gout medicine is best for you. Let him know immediately if any side effects occur, as these can be serious.